Consider Ian Taylor Trekking, they offer the entire “Package” when it comes to EBC Treks. Ian’s company is a market leader in Nepalese treks. He is an enthusiast and knows the formula for making his treks stand out as some of the very best. He and Laura, Ian’s wife, live in Colorado and have every aspect of their treks choreographed down to the nth degree. Check it out, call Ian and talk with him about doing one of his adventures. He does not hit bottom on anything you ask. I am sure you will be amazed as I was in his depth of knowledge. Items like suggesting I fly through Abu Dhabi to avoid long layovers was not too minuscule for him to point out. He is not an office dweller, Ian leads several of his treks each year so he can stay up-to-date on all aspects of his itineraries. 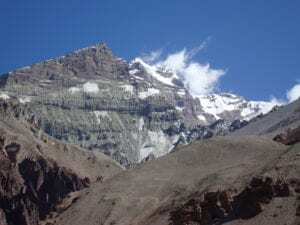 To give you a few more tidbits, Ian has such a high success rate of trekkers making it to the EBC because of his acclimatization approach which includes three nights in Namche Bazaar. It is well known that the best guides tend to work for the Market Leaders and why not, who wants to work that hard for second-tier tour operator. Rest assured, ITT guides and ground staff in Kathmandu are truly top-shelf with a safety first approach. Another big selling point is that Ian knows all the best Tea houses and just as important, they know him. These are very important relationships to have during high season as accommodations get thin the higher up you go. In summary, as with any rigorous adventure, there are many moving parts with harmony and execution being established only after many proven successes. Ian Taylor Trekking is a very safe choice coupled with having a high chance of make it to the EBC. To show you that is a legitimate review, take a look at my 2018 EBC Ian Taylor trek on You tube. Everest Base Camp Trek May 2018. “Recently l returned from Everest Base Camp. In great measure, l must attribute my modest success in this endeavor to the organization, the planning, and the staff of Ian Taylor Trekking. Before embarking on this venture, I carefully studied other trekking options but none of them seemed as well conceived or meticulously structured as the Ian Taylor option. These points were the basis of my using Ian Taylor but of much greater significance in all this, as l soon discovered, was the quality of the people comprising the group—including Ian and his wife Laura. These are genuine human beings who give a damn about every facet of their operation, especially the welfare of their clients. They can be trusted to do the right thing under any and all conditions and that includes the selection of the support personnel (indeed, l consider the Sherpa who led our trek my younger brother from Nepal!) In sum then, l endorse the services of Ian Taylor Trekking without hesitation to anyone interested in an extraordinary high altitude adventure”. Everest Base Camp Trek April 2018. I wanted to drop you a quick note to tell you how much I enjoyed our trek to Everest Base Camp. The whole trip was brilliantly organised, you were massively kind and helpful fielding so many questions and getting us set before we left and, from the minute we landed to the minute we left, the whole experience was seamless. Your team on the ground is an absolute credit to you. Dawa, Dhillilp, Pasang, Dickie, Kansa and Kay could not have given us a better experience and are wonderful people. They were extremely professional, continually going above and beyond, and we had no doubt that we were in safe hands. We really enjoyed our group (10 girls and 1 guy!) and the fact that Dawa got everyone up and down added to the fun and experience. Meals and tea houses were great. It felt like we were on a 5* trekking trip! You see quite a bit of poverty in the area but it really came across that you, as a company, do the right thing and operate to high ethical standards and I was glad to have made the trip with you guys. I just wanted to thank the both of you and your wonderful team for an amazing trip. My dad and I had an absolute blast. I truly loved every minute of the trek. Everyone was so great on making sure that we made it to Mt. Everest Base camp. I couldn’t thank everyone enough for all the support and making sure that we enjoyed ourselves. I am not too sure how I came across you. I think i heard of you through 53 degrees north but I may be mistaken. It was my good fortune though. The trip was brilliant. Amazing. But that’s only the tip of the iceberg. 1. The preparation: your video of what clothes to pack for ebc sums up your attention to detail. I followed it verbatim and duly wore everything I brought! Perfect. All my emails with Laura were super helpful and she always happened ” to be just beside a computer ” as I got instant replies! 2. Fitness: I found the walking very easy. The only real challenge was Kala phater which was for me the highlight. Myself, Pete, Will, Ong chu, Tendi and NIma. A special moment. But thinking back on our group, the ones who were fittest I think got the most out of the trip. Sure you can do ebc not being too fit but you won’t enjoy it. 3. Sherpas: no words can describe how good dawa, Ong chu , Nima, Tendi, Pasang and Kumar were. I had total faith in them. I have never been so well minded as I was by them. They kept the group together , controlled the pace. If I go back to Nepal they will ultimately be the reason why. They are special people. When I got sick in Dingboche each and every one of them was up to check on me! They wanted me better:). 4. Accommodation and Food. I have no doubt but we got the best places to stay and even in those places we always seemed to get the best tables! The food was cr/ap :). However I didn’t go for the food!!! I have never gone meat free for 12 days before. It did me no harm whatsoever. Just to be clear I know we had the best food available… 5.The Group. I could have gone with an All Irish group but I am so glad I didn’t. The diversity of our group was such a delight. We all mixed very well. I debated getting a single supplement but in hindsight I am delighted I didn’t. Rooming with a stranger is all part of the experience. I shared with Peter. Top guy. Fitness levels were mixed but the Sherpa’s controlled it all perfectly. For me it was a novelty moving slowly and not “pushing” all the time. 6. Acclimatization days. Didn’t understand the concept before. I do now. You have it nailed. 7. Sick. I got sick as you may have heard in Dingboche. It was definitely food related and I guess altitude may have exacerbated the situation. Food was always going to be my Achilles heel. Dawa looked after me very well. However having Will there was the probable difference between me recovering promptly and carrying on or of being left behind in Dingboche. Will was a medic in the U.S army and a long distance runner. Fortunately Dawa and Will got me re hydrated and I bounced and was able to carry on. The group carried my gear for me as we walked to Lobuche as I clearly wasn’t 100%. I am very grateful to the Group, Will and Dawa …….the day after I was perfectly fine. Laura and Ian , just wanted to drop you an email complementing the entire group of people that we were with on our Mera Peak climb. Everyone was super professional and super dedicated to doing a great job for us. Ang Kami and Ong Chu were excellent climbing guides and handled everything perfectly. We were always confident in whatever they were doing. The other guides such as Tendi were excellent as well as the porters and cook staff. I can’t say enough how impressed we were with your entire operation. Thanks for everything. While I am waiting for my last plane ride home, I would like to echo what Barry had already mentioned. I am still highly impressed by the organization and conduction of this trip. Ang Kami was a superb lead guide, in fact, we could not have had a better guide. Superb knowledge and ability to handle problems, all while being a great guy. Same holds true for Ong Chu. Very detailed gear check, extremely attentive to our climbing gear , ropes carabiners etc, they would pick up any small imperfection and fix it before proceeding. Tendi was also great, complementing the climbing Sherpa team. Dilip was a fantastic cook, with an affectionate big smile always. The porters they had picked were also great guys all around. I was surprised how careful our duffel bags were handled and how clean they still were at the end of the trip. The differences of your outfit compared to others became blatantly apparent on the mountain itself. In my mind, we were the only professionally lead team, with a huge focus on safety and a good safety margin for unforeseeable events. Dawa and Kay were master organizers in the background, and I still feel bad how quickly they got us out of Lukla by passing folks who had been stuck there for days and had already missed their flights home. Thank you all for putting this fantastic trip together and for getting us safely up and down the mountain. I will highly recommend your company. Nepal is spectacular and the people are amazing. Had a really great time, and was a little anxious about getting up Island Peak but you, Ang Kami, Pasang, Dilip, Dorjee and Kalden (hope i,m not missing anyone) made it remarkably easy and enjoyable. Hope to join you on future expeditions buddy!